Well, finally i got around to publish this, the HP nc4200 is the nicest piece of Linux compatible hardware that i ever laid hands on, don't look no more! Works / no special procedure required during installation. * Obtaining Ubuntu: do i really have to tell you how to obtain Ubuntu? * Post-Install modifications/tweaks: just customizing options (desktop, starup programs/daemons, etc), everything tested worked out of the box. Setting up additional features for Ubuntu: nothing i can think of. * The Ubuntu forum offers excellent support and almost any question will be answered to satisfaction. * HP has tons of information on the website about this notebook. * Laptop was recently upgraded to Ubuntu 8.04 LTS with Kernel 2.6.24-23 without any problems, now running compiz and desktop effects. Note: On November 2011 this notebook was upgraded to Ubuntu 11.10 'Oneiric Ocelot'. Check here for the full report. As soon as i layed hands on my new samsung, i was dissapointed that there was only one game installed so i wanted to have a couple more options to choose from, unfortunately samsung made it quite a difficult (but not impossible)task, here is the result of a few day's investigation and googleing, the TKFileExplorer is a windows application but i'm sure there must be a Linux counterpart. The .jar and .jad files for the application. Step1. Download and install TKFileExplorer. In the same .rar file, open SAMSUNG_Composite_USB_Driver_4_34_WHQL.zip and choose the Setup.exe file. 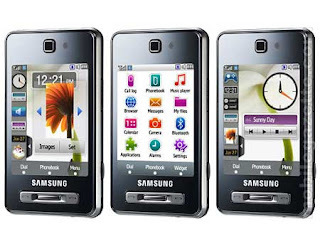 This will install the necessary Samsung Driver to use TKFileExplorer. Step2. Open TKFileExplorer and go to Settings then choose COM. On port, click the drop down menu and choose the port that is visible (something like port 5/port 6). NOTE* you must NOT be connected in pc studio program. Now click on FILE and CONNECT. Step3. On the bottom half of TKFileExplorer, browse through these folders Exe/Java/Games. Now that you are in games, create a new folder. Name it after what you are going to install (for example, Google Maps, Gmail, Opera Mini etc). Now you will need to place the .jar & .jad files of the program you will be installing. On the top half of TKFileExplorer, browse through to where you saved the application files (.jar/.jad) and select them both. Now right click and choose ‘Download’. All done for this part. Step4. Open up your dial pad and enter the following, *#6984125*#. Choose INTERNALS and enter the following, *#9072641*#. Now scroll down and choose Storage Settings. Then update Java DB, followed by update apps database. Now you are finished. Go to Menu>Applications/Apps & Games. Your newly installed app should be visible! My newest adquisition is this, the samsung SGH-F480, real nice and hi-tech device, with a full touch screen, a large 2.8” QVGA LCD that offers a full touch navigation experience, haptic technology offers tangible feedback when you make a selection on the touch screen and widgets that allows you to customize the user interface with applications that move with drag-and-drop ease, the only thing i found anoying was that you can't install any more games, or can you? Of course there must be a way!! After a few months running Ubuntu 7.10 'Gutsy Gibbon' on my laptop without any big issues i decided to take the next step and upgrade to 8.04 LTS, the process took a good hour and went completely smooth, after upgrade was complete i made a full reboot and the results are simply wonderful, now i'm running compiz and all the effects work just fine, all my hardware was again recognized and everything is up to date, excelent work Ubuntu team! !